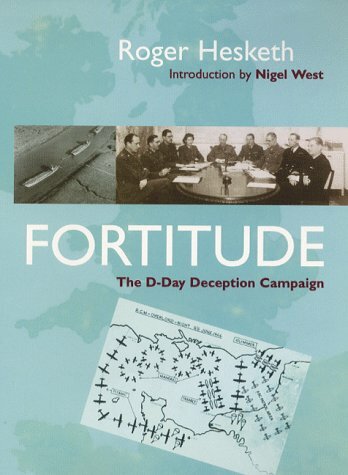 Written by an intelligence expert at the end of the World War II, this vivid official description of the deception campaign used by the Allies during D-Day sheds light on how the Nazis were led astray during this monumental battle. Reprint. History's lasting paradox is that hindsight bestows a legacy of inevitability on events. So it is now accepted folklore that the origins of the Second World War lie in the ending of the First World War and no doubt soon it will be a matter of public record that Nato had to invade Kosovo. Like many sweeping statements these big ideas do have a germ of truth, but they ignore all those niggling "if only" questions. 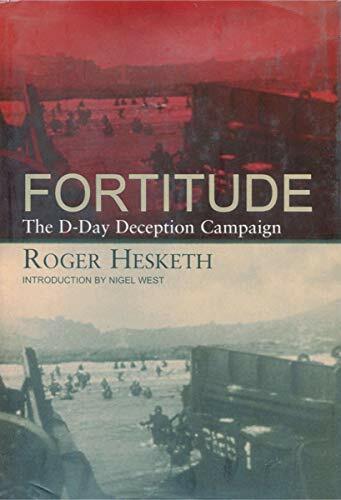 History owes every bit as much to missed opportunities and plain luck as it does to careful planning and inevitability as Fortitude, Roger Hesketh's account of the D-Day deception plan makes clear. The Normandy landings in 1944 were one of the key moments of the war--the moment when the Allies reinvaded France, four years after Dunkirk, and began to sweep the Germans back towards Berlin. Most history books pay tribute to the bravery of the British and American soldiers but only lip service to just how touch and go the operation was. But without detailed planning and a large amount of good fortune, European history could have taken a very different course. 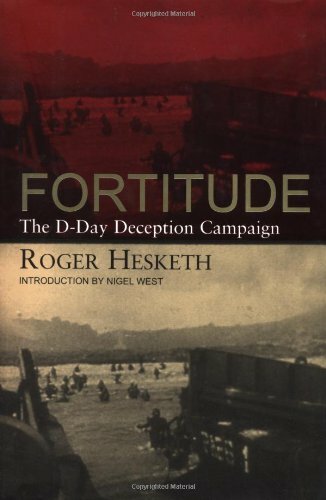 Hesketh was the amateur architect who in 1943 was charged with running the Allies D-Day deception campaign, code-named Fortitude. Establishing a beachhead on French soil was a massively risky operation, and Hesketh's task was to persuade the Germans that the main landings would be in the Pas de Calais and that the Normandy operation was merely a feint. Over the course of the year, Hesketh successfully fooled the Germans with a wealth of bogus information. His team manufactured agent reports, invented an entire US army group, sent false radio signals and positioned tanks, bombers and landing craft made out of balsa wood in locations where they could be photographed by the Luftwaffe's aerial reconnaissance. The picture the Germans built up was precisely the one that Hesketh had in mind. Indeed he was so successful that many German divisions were not still moved to Normandy after D-Day because the Nazis still believed the main invasion would take place in Calais.